*Prime Spadina N/St Clair! *Lux Lower Village Gate! 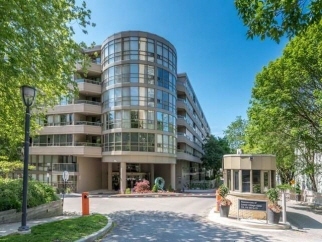 *Outstanding Complex+Recreational Facilities In The Heart Of Forest Hill Village Just Mins To Subway, Ttc, Shopping, Restaurants+All Amenities! *Seldom Available Spectacular 2Br 2Bth South Facing Penthouse Suite W/Balcony+2 Car Parking! *Hi Ceilings+Abundance Of Windows+Light! *Fab Flow For Entertaining! *Move Right In+Enjoy Oct 1/18! Additional Features and Amenities S/S Fridge+Stove+B/I Dw+Micro(Ex Bkr Centre Island+Shelves),Washer,Dryer,Elf(Ex Dr),Wndw Covers(Ex Mbr+2Br),Brdlm W/L, Marble,Granite,Skylt,2 Car Parking,24Hrs Gatehouse++ *Note:Rent Includes Everything But Phone+Internet+Tenant Insurance!